For information on Basic/Regional (U10), U8 Official, and Assistant Referee classes, contact the regions. 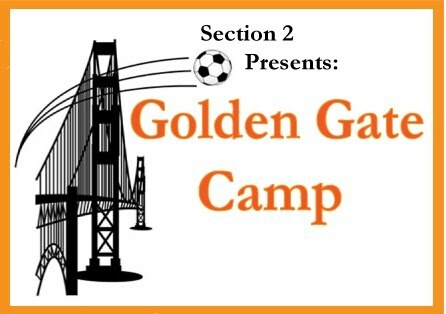 Intermediate Referee (U12), Advanced Referee (U14) and National Referee (U16/U19) classes are held each year at Golden Gate Camp as well as occasionally by the Area with an Intermediate course typically offered each year in October. Please sign into eAYSO and look-up the specific course you are looking for. II. Candidates request an assessment through their RDRA or RRA, providing the information above. III. RRA/RDRA verifies the information and forwards the request for assessment with their recommendation on to the ADRA of their Area and copies the other ADRA. The RRA or RDRA may recommend the candidate for assessment without one or more of the criterion noted above, if in their judgment it is warranted. IV. The ADRA contacts the candidate to coordinate the assessment in cooperation with the other ADRA. The ADRA contacts the League Scheduler that an assessment has been requested. Assessments will have priority when the League Scheduler makes referee assignments. V. The candidate requests an assessable game from the Scheduler. The game should be sufficiently far in advance (2 weeks or more) to allow for the assessment to be arranged. VI. The candidate notifies the ADRA of the assessment game (date/time/field). The ADRA arranges for an Assessor who contacts the candidate prior to the assessment. Candidates are reminded to bring their upgrade form with them to the assessment game. VII. Post Assessment: Assessor notifies the ADRA and the candidate’s RRA of the results of the assessment. If the candidate passed, then the Assessor signs the upgrade form and returns it to the candidate. It is the candidate’s responsibility to take the next step in the upgrade process in accordance with Area policy.